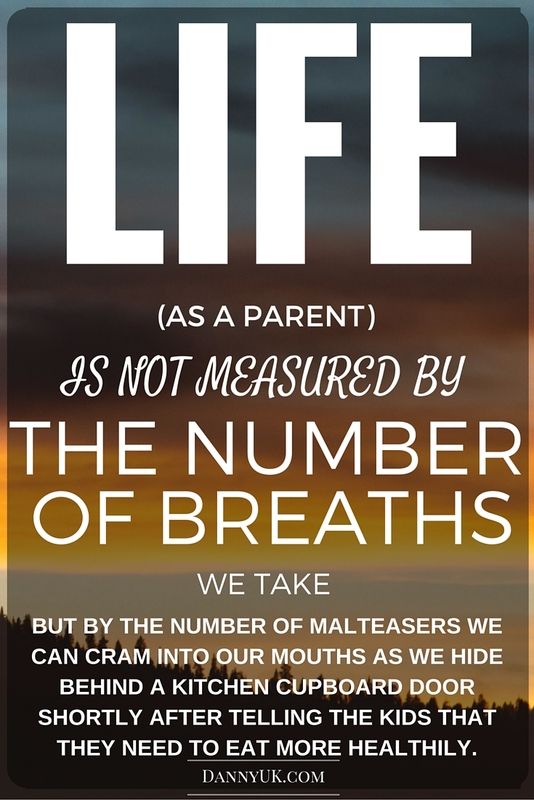 I had my own go at making an inspirational poster for life as a parent. Seriously though I love this. Yesterday I had a box of quality street hidden next to me on the sofa while he was watching Peter Rabbit. I was surreptitiously unwrapping and moving them in to my mouth and every time he heard a rustle he would shoot his head round like some sort of chocolate ninja as I smiled sweetly at him trying not to chew my delicious toffees. This went on for a good half an hour! This quote is fab. It sums up my feelings at the moment towards my son. He is always on the look out for anything he can take off me to eat himself. I feel like a ninja half the time hiding from him. haha this is so true! That quote pretty much sums up my life, lol! Haha!! That’s brilliant! I love it!!! And it is so true!! This is a great quote, I can relate. Parenting is very hard.